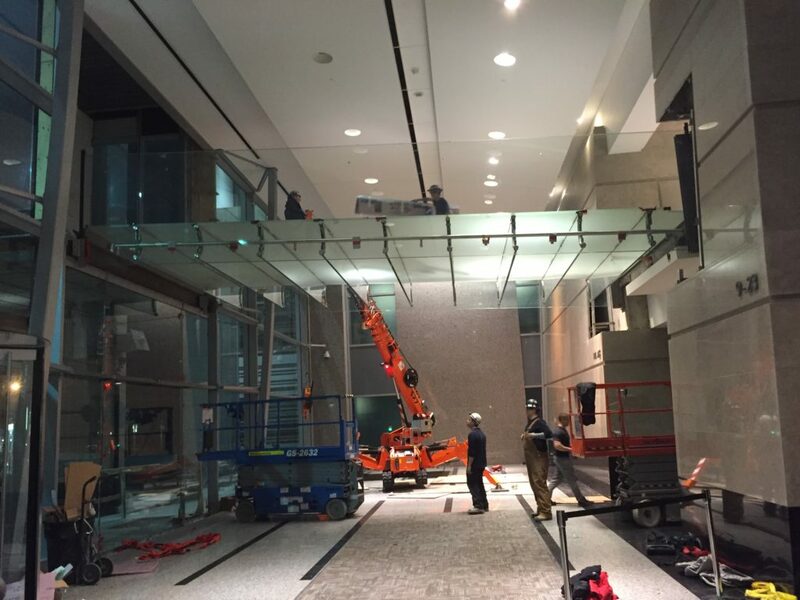 We recently helped out on a glass bridge installation project, building a walkway from an existing building to connect to a new building that had been constructed across the street (across the upper part of the lobby). 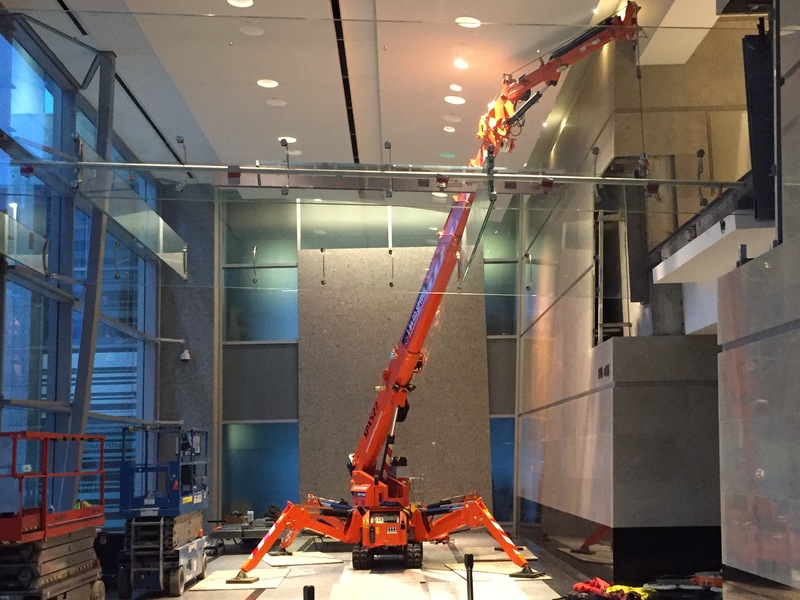 For the final install, we moved the Jekko SPX527 in on a Friday night and offloaded all of the necessary glass parts into the lobby of the building. 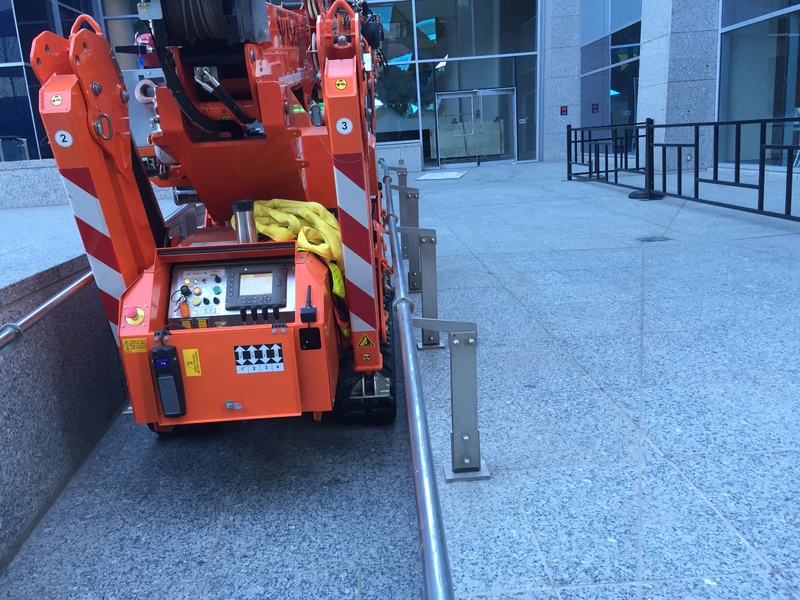 On Saturday, as each cross support was installed, we set each of the floor panels on top with the Wirth Oktopus GL-RN800 configured inline with an extra cup installed for extra holding power on the pebbled finish of the panels. We were able to complete it by 10:00 pm that same day! Using a JIB600.2H hydraulic jib made it possible to get the lifting hook into the middle of the bridge between the main support rails and the ceiling. 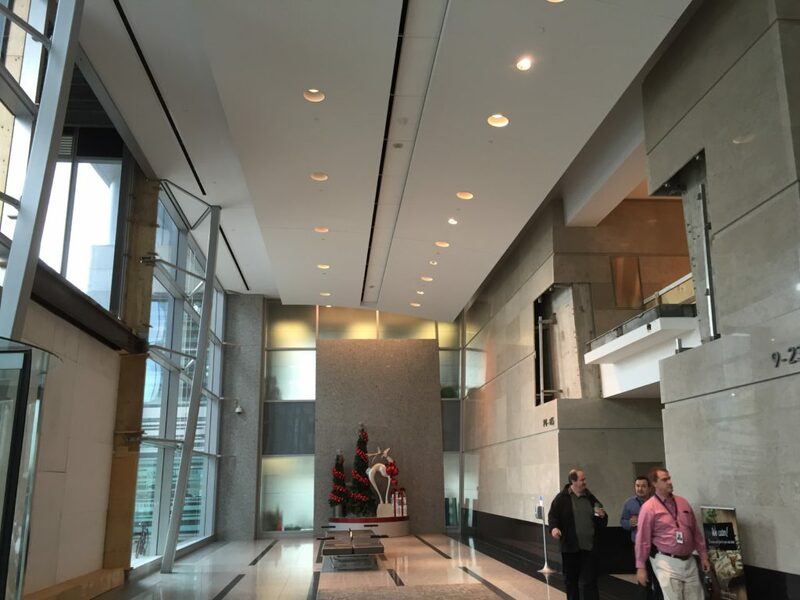 It makes glazier jobs easier and safer without the need for manual maneuvering of the larger sections of glass. 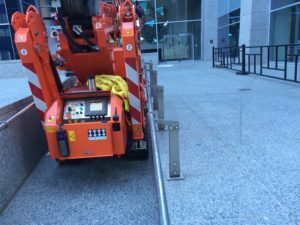 And just look (left) how easily the Jekko SPX527 fits down the building’s narrow pedestrian ramp, eliminating the need for a temporary access ramp to be built up the stair treads. Do you need assistance on your next project? Burnt Timber can help!